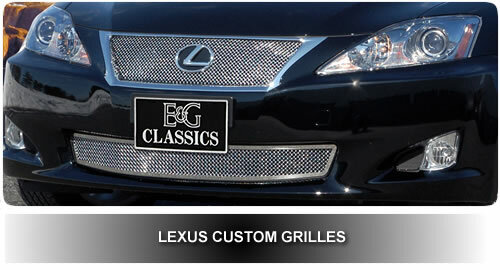 Lexus Custom Grilles | Billet Grills for Lexus GS, ES, GX, IS, LS, LX, RH and RX. Find Lexus custom grilles, including billet grills, chrome mesh grills, black mesh grilles, custom parts & accessories here at American Truck 'n Auto Accessories. We offer you better products at better prices along with better customer service & support. We carefully select each of our custom grille manufacturers for Lexus based on the quality of their products, appearance, installation, and after sales support. Take a look at our selection of Lexus custom billet grilles or how about a new interior dash trim kit. Find the upgraded look you want for your car today!